Since then, “there were a bunch of new studies that were published throughout the last nine years that do point to a positive effect by primary physicians in their efforts to prevent tobacco initiation by kids,” explained USPSTF member Dr. David C. Grossman, a practicing pediatrician at the Group Health Cooperative in Seattle, Washington. Why the focus on children and teens? “Over 90% of adults started smoking before they were 19, so that means this is a problem that starts in late childhood and early adolescence,” Grossman explained. Tobacco use is the leading cause of preventable death in the United States, so stopping people from ever starting to smoke could work toward eliminating the estimated 443,000 deaths each year nationwide that are attributed to smoking, and the $96 billion spent in the United States for medical care directly related to smoking. The USPSTF is an independent group of experts that make "evidence-based" recommendations on preventive services like screenings, preventive medications and counseling services. The group found that behavior-based treatments, which include methods like counseling alone or with educational material such as booklets, e-mails or online materials, phone counseling, and counseling plus a booster message by physicians, were effective in preventing young people from ever beginning to use tobacco products. The draft guidelines note the influence of parents when it comes to their children picking up the habit, saying that parents who smoke and who are dependent upon nicotine are “one of the strongest factors associated with smoking initiation among children and adolescents.” Grossman said that asking about household smoking habits is a regular part of patient screening, and he offers guidance on quitting to parents who smoke. 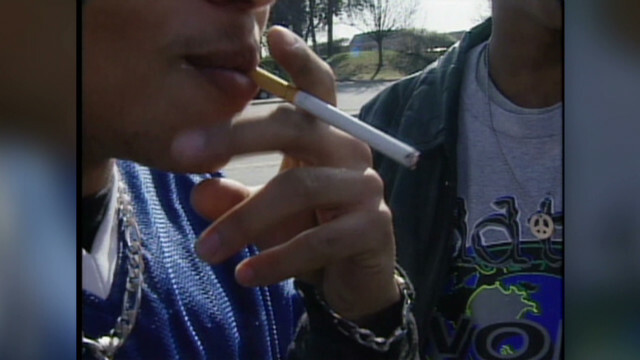 Does that means doctors will start to get reimbursed for smoking prevention counseling? Because as of right now its usually done on their own time. How ironic. The poorer Kids who are very unlikely to have access to a family doctor or any other source of medical care except the ER are to be mentored by physicians in "the dangers of smoking". And Medicaid physicians have the time in between caring for maybe 50 sick kids a day have the time for this? This is very great step taken by USPSTF to prevent the children from smoking.It also saves them from heart attack.I appreciate this. Haha stop watching refeer madness. See http://www.google.com/patents/US6630507 . Your own government says weed is good for you. A kid can get weed anywhere in high school with no carding. So please stfu and go back to your whiskey. As if that doesn't kill unlike weed.